Ram has announced pricing for the popular ProMaster commercial van lineup with 5-year / 100,000 mile warranties. Several best-in-class features promote the all-new ProMaster series including fuel economy, cargo capacity, and total cost of ownership. All things very important to the commercial van segment. The best powertrain warranty at 5 years / 100,000 miles doesn't hurt either. The Ram ProMaster fall in the new Ram Commercial brand, a subset of Ram Trucks which in turn is a part of the Chrysler Group. Pricing for the all-new van series starts at $26,030 for the Cutaway, which arrives ready for customization, at $26,530 for the Chassis Cab and at $28,630 for the Cargo Van (shown). All prices do not include destination fees. With the best-in-class fuel economy, cargo and payload capacity, turning radius, interior ceiling height, step-in height, and total cost of ownership (TCO), the Ram ProMaster van series is definitely a commercial van of choice. Ram chose to offer this van later this year as part of its 2014 lineup with the new Ram Commercial brand in an effort to seize some of the expected fast-growth market for commercial vehicles this year and next. Aging vehicles in fleets that have been delaying replacement due to economic shortfalls are now becoming a burden on their owners and beginning to lose resale and trade-in value fast. Commercial sales make up about a quarter of all automotive sales in the United States. The redesign of the ProMaster came thanks to the extensive experience of Fiat Professional in Europe (Fiat now owns Chrysler), which has shown a strong capability for competition with some of Europe's more prominent commercial brands. Those brands are making headway in the U.S. now and Ram saw the opportunity to hold them off with a strong North American offering. 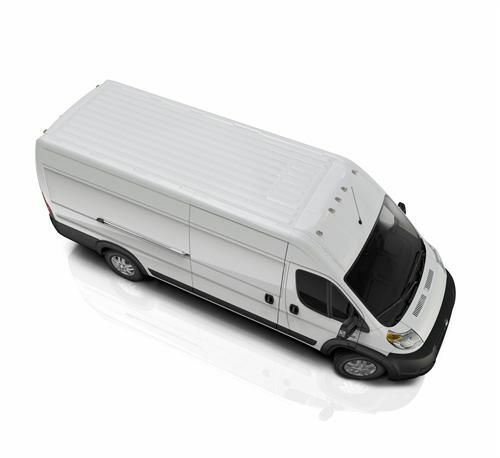 The ProMaster series is sourced and built at various Ram Truck suppliers and plants in the U.S. and Mexico.